You have already decided about the pattern (see: What is the first thing I should do after installing the E-PasswordCard App?). 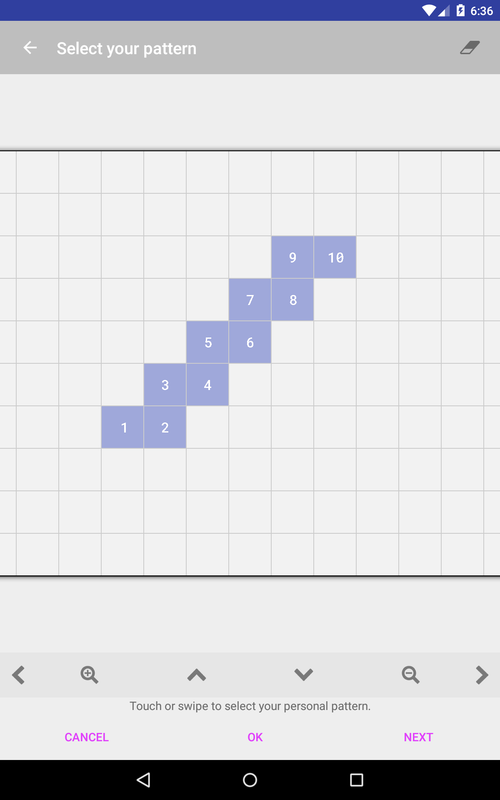 For an example, we chose a 5-steps stairs as the secret pattern. Choose the icon to start the pattern assistant. Draw your secret pattern. Tap each cell or swipe to draw your personal pattern. The numbers indicate the sequence of the letters for your password. Choose “Next” to go to the second step. Enter the name of the website you want to register with. Choose OK to return to your password card. Your pattern is positioned on the card. 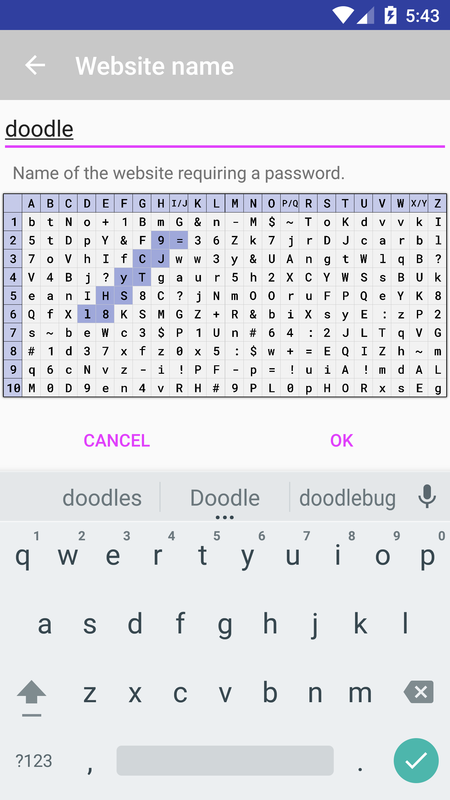 A message at the bottom of the screen shows your password. Use “Copy” to copy your password to the clipboard.